Documents: Links to books, articles, and congressional testimony. Louis Fisher is Scholar in Residence at the Constitution Project. Previously he worked for four decades at the Library of Congress as Senior Specialist in Separation of Powers (Congressional Research Service, from 1970 to 2006) and Specialist in Constitutional Law (the Law Library, from 2006 to 2010). During his service with CRS he was research director of the House Iran-Contra Committee in 1987, writing major sections of the final report. Fisher's specialties include constitutional law, war powers, budget policy, executive-legislative relations, and judicial-congressional relations. After completing his doctoral work in political science at the New School for Social Research in 1967, he taught full-time at Queens College for three years. Later he taught part-time at Georgetown University, American University, Catholic University law school, Indiana University, Catholic University, the College of William and Mary law school, and Johns Hopkins University. 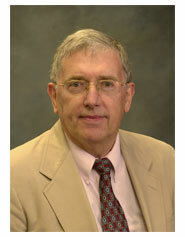 Currently he is a Visiting Professor at the William and Mary law school. His books include President and Congress (1972), Presidential Spending Power (1975), The Constitution Between Friends (1978), The Politics of Shared Power (4th ed. 1998), Constitutional Conflicts Between Congress and the President (6th ed. 2014), Constitutional Dialogues (1988), American Constitutional Law (with Katy J. Harriger, 10th ed. 2013), Presidential War Power (3rd ed. 2014), Political Dynamics of Constitutional Law (with Neal Devins, 5th ed. 2011), Congressional Abdication on War and Spending (2000), Religious Liberty in America: Political Safeguards (2002), Nazi Saboteurs on Trial: A Military Tribunal & American Law (2003; 2d ed. 2005), The Politics of Executive Privilege (2004), The Democratic Constitution (with Neal Devins, 2004), Military Tribunals and Presidential Power: American Revolution to the War on Terrorism (2005), In the Name of National Security: Unchecked Presidential Power and the Reynolds Case (2006), The Constitution and 9/11: Recurring Threats to America’s Freedoms (2008), The Supreme Court and Congress: Rival Interpretations (2009), On Appreciating Congress: The People’s Branch (2010), Defending Congress and the Constitution (2011), On the Supreme Court: Without Illusion and Idolatry (2013), and The Law of the Executive Branch: Presidential Power (2014). His textbook in constitutional law is available in two paperbacks: Constitutional Structures: Separation of Powers and Federalism and Constitutional Rights: Civil Rights and Civil Liberties. With Leonard W. Levy he edited the four-volume Encyclopedia of the American Presidency (1994). He has twice won the Louis Brownlow Book Award (for Presidential Spending Power and Constitutional Dialogues). The encyclopedia he co-edited was awarded the Dartmouth Medal. In 1995 he received the Aaron B. Wildavsky Award “For Lifetime Scholarly Achievement in Public Budgeting” from the Association for Budgeting and Financial Management. In 2006 he received the Neustadt Book Award for Military Tribunals and Presidential Power. In 2011 he received the Walter Beach Pi Sigma Alpha Award from the National Capital Area Political Science Association for strengthening the relationship between political science and public service. In 2012 he received the Hubert H. Humphrey Award from the American Political Science Association in recognition of notable public service by a political scientist. The July 2013 issue of PS: Political Science & Politics includes a symposium on "Law and (Disciplinary) Order: A Dialogue about Louis Fisher, Constitutionalism, and Political Science. Dr. Fisher has been invited to testify before Congress more than 50 times on such issues as war powers, state secrets privilege, NSA surveillance, executive spending discretion, presidential reorganization authority, Congress and the Constitution, the legislative veto, the item veto, the Gramm-Rudman deficit control act, executive privilege, committee subpoenas, executive lobbying, CIA whistleblowing, covert spending, the pocket veto, recess appointments, the budget process, the balanced budget amendment, biennial budgeting, and presidential impoundment powers. He has been active with CEELI (Central and East European Law Initiative) of the American Bar Association, traveling to Bulgaria, Albania, and Hungary to assist constitution-writers; participating in CEELI conferences in Washington, D.C. with delegations from Bosnia-Herzegovina, Lithuania, Romania, and Russia; serving on CEELI "working groups" on Armenia and Belarus; and assisted in drafting constitutional amendments for the Kyrgyz Republic. As part of CRS delegations he traveled to Russia and Ukraine to assist on constitutional questions. For the International Bar Association he helped analyze the draft constitutions for Swaziland and Zimbabwe. He is the author of more than 500 articles in law reviews, political science journals, encyclopedias, books, magazines, and newspapers. He has been invited to speak in Albania, Australia, Belgium, Bulgaria, Canada, China, the Czech Republic, Denmark, England, France, Germany, Greece, Israel, Japan, Macedonia, Malaysia, Mexico, the Netherlands, Oman, the Philippines, Poland, Romania, Russia, Slovenia, South Korea, Sweden, Taiwan, Ukraine, and the United Arab Emirates. The topics include a range of constitutional, political, and institutional issues.